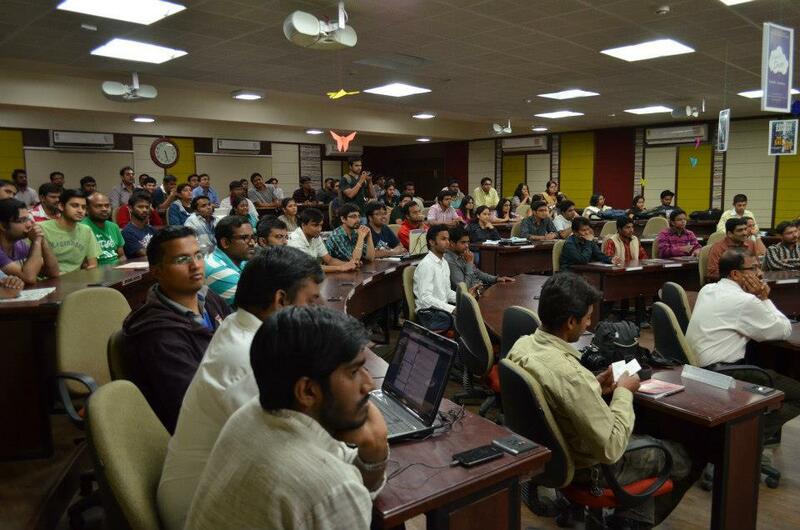 Yesterday happened to be a day quite innovative, fresh and path-setting for the city of Udaipur. 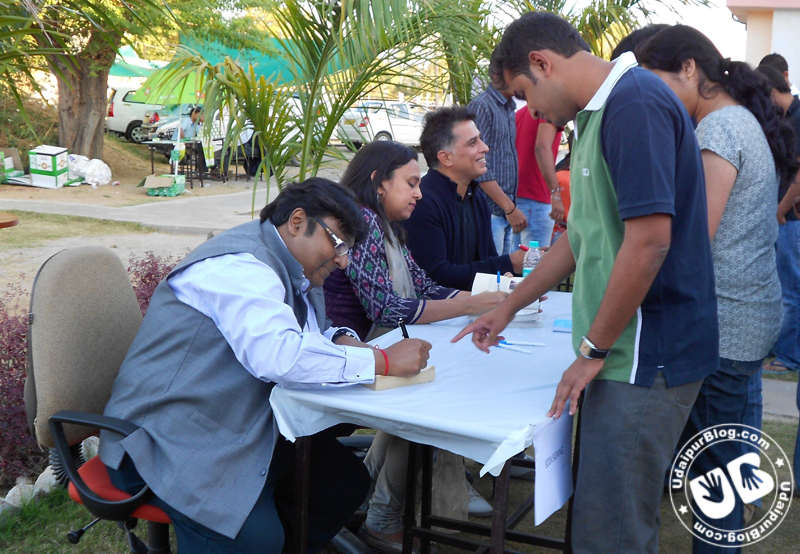 The event was the first edition of IIMU’s Leap Day LitFest ornamented by the most sold authors of the decade: Rashmi Bansal (Stay Hungry Stay Foolish, Connect The Dots, I Have A Dream, Poor Little Rich Slum), Ashwin Sanghi (The Rozabal Line, Chanakya’s Chant, The Krishna Key) & Rajiv G. Menon (Thundergod). Being the first of its kind, it was wonderous what the fest must be like! In front of our eyes, seeing the actual life heroes of a big mass of the readers’ community felt somewhat great. The personalities: very intelligent yet simple, beautiful yet extremely down-to-earth! No doubt, they are the stars of real life. It would take a lot of ink for my pen to write down each and every detail but for the interest and entertainment of the readers, few comic and worth learning points are presented from the separate sessions of Mr. Ashwin Sanghi & Mr. Rajiv G. Menon; and that of Ms. Rashmi Bansal. Starting with the literary discussions over the reoccurrence of Mythological Fiction in the eyes of Indian readers, Mr. Sanghi explained that there was no commercial book market at all 10 years back. Publishers either wanted prize-winning works or simply Non-fiction. He himself completed his first book in a year but it took 18 odd months to get it published. For an author, as per him, stubbornness is a must, as getting being published is far difficult than writing. Coming over the topic of Mythological fiction, both of them felt that today, there are no grandparents to tell much about our old epic & magic stories. Moreover, the youth is interested more in learning things in a concise form, so by their books, it’s an effort to present the same stories in a Repackaged form. On the question of the topic of writing being taken from mythology or history, Mr. Sanghi gave an honest comment that sparkled the whole audience with a laughter, “More recent the story, more dangerous it will be.” As per him, such works should be written after a varied and depth research. His relating scientific theories with mythology and relating various religious stories to each other was one of the best parts. Like he said, Shiva & Vishnu are 2 sides of the same coin. Referring the Big Bang, he said that the expansion of the universe is Vishnu & thee contraction that will occur is Shiv. There were a lot more such interesting instances in the conversation and it was being made funny from time to time by the ironical remarks of the authors. Mr. Menon, exclaimed in a light way that though the topics of their writings are vulnerable to controversies but still they don’t like their creativity to be ceased or disturbed by others. Ms. Bansal started off in a very light manner with her simple and charming smile telling about her own story, of how she picked up Arts despite the all-surrounding pressures of taking up Science and how her 40 initial articles to TOI got rejected in a flow. It was the zeal to see her name published what kept her lively and finally she got her 41st article published. She added with a smile that, “Arts students are counted as the most exploited section of the society!” But doing what brings happiness for oneself is always the best option, and that is the base of Entrepreneurship- Choosing a path unique to you! When she entered into the IIM-A for her MBA, while doing surveys, she felt that this can be done by anyone! This is not Rashmi. And after that she went on her own ways, working in a diversity of fields, even running a magazine for 15 years that unfortunately ended up not being a successful venture. And after that, when she wrote Stay Hungry Stay Foolish, to be published only in 1000 copies for distributing to IIM students, it turned out to be a huge success and in no time, more than 100,000 copies were in the market. And the journey as a writer continued. She stressed on becoming entrepreneurs as that as per her is what gives actual happiness. And adding to it, she said, “Start Young. Once you have a home loan, it’ll be difficult to become entrepreneurs!” Lastly, she addressed the students that the IIM degree is a safety net rest no big qualifications are required on this way. Implement your ideas and if there are many similar to you, just find the better way of doing it. The show ended with the closing words by the Director Prof. Janat Shah. Truly, a lovely fest by the literary club Potpourrie! Warm wishes to the whole team. You really brought something new and much needed to the air of Udaipur. Thanks from the behalf of all literature lovers.